Bolt-on storage tray now available! Systems are available with 4 or 6 trays with adjustable dividers and fold-down handles. 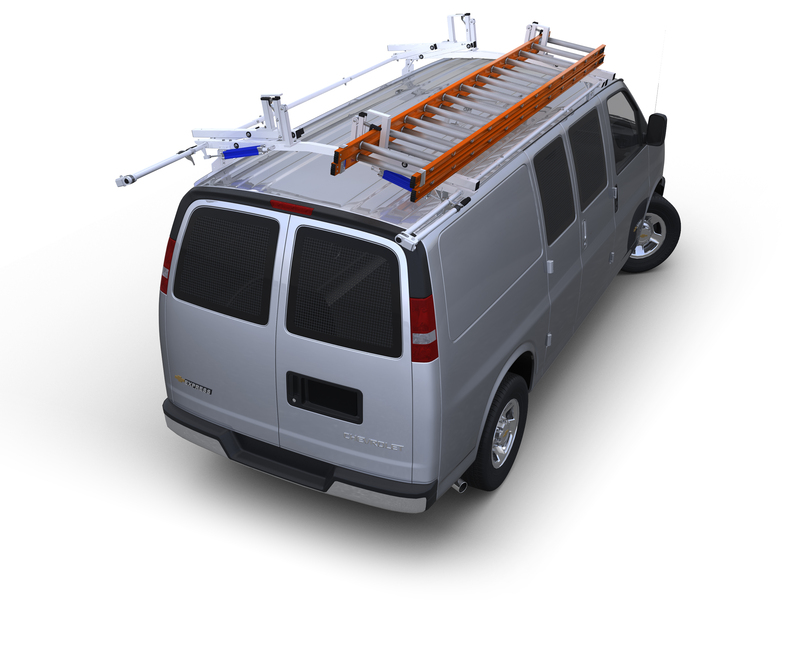 Welded heavy-duty steel rack with powder coat finish mounts securely to floor of van. Available as 4-Tray System (15 1/2" W x 18" D x 27" H), 6-Tray System (15 1/2" W x 18" D x 36" H), or as individual trays (12 3/4" W x 17" D x 4" H).